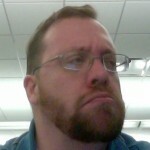 How Not To Grow A Beard Month | Kris Johnson's Blog…sort of. 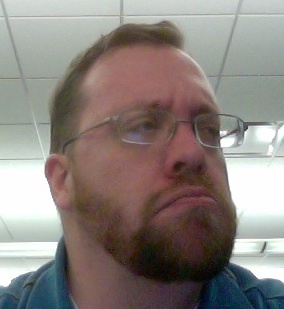 Once upon a time, I thought it might be fun to see if—by not shaving for an entire month—I could grow a beard. In homage to National Novel Writing Month (AKA NaNoWriMo), I decided to call my delusional pursuit How Not To Grow A Beard Month, or HoNoToGroABeMo for short; and in deference to the nigh-obsessive desire to inform the world of one’s progress that comes along with endeavours like NaNoWriMo, I decided that I would photograph my “progress” every day and post it—along with some of my typical inane babble—on this very blog. I was not in the least bit surprised when, thirty days later, my face looked as though it might once have had a proper beard but had since gotten the mange. I was, however, surprised when—a year later—my friend Bob Voegerl announced that not only would he join in my mad beard-not-growing farce, but that he was building a website dedicated to the effort. And thus sprang into being the official HoNoToGroABeMo website. Eight people—men, we shall call them—from two continents participated in How Not To Grow A Beard Month last year, and there was some talk about possibly trying to raise some money for charity. I didn’t think we would manage to drum up enough interest to make a charitable pursuit worthwhile, so the notion fell into the deepest recesses of my mind. Then, in May of 2009, Bob’s mother passed away after a short but intense battle with undetected breast cancer that had spread to her brain. 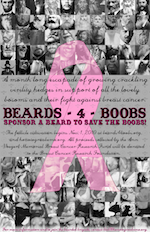 In late October, Bob announced that he had added a new feature to the How Not To Grow A Beard Month website: Beards4Boobs, a charity fundraiser for the Ann Voegerl Memorial Breast Cancer Research Fund. The idea is simple: donors can choose to sponsor their favorite beard, and the beard that raises the most money for the fund will receive a fabulous prize. 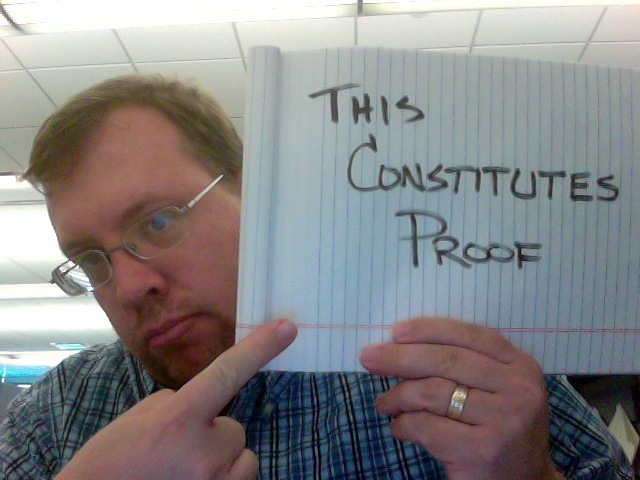 I’ve been overwhelmed at the response so far. We’re just a few days into November and we’ve received nearly $700 in donations. One of our participants, Dr. John Cmar, has $250 worth of sponsorship for his beard. ((Truth be told, he needs to grow that beard back. His naked face haunts my nightmares.)) Last night, our first female participant threw her bare chin into the ring; Mur Lafferty arrived to show us boys that we don’t know jack about not growing beards. It’s amazing to watch something that was born out of pure silliness turn into something that’s actually worthwhile doing. Please, if you can, go to the site and sponsor one of these folks and their chins (be they growing hair upon them or not). To everyone who has already sponsored a beard: thank you for your generosity. I’ll be posting updates throughout the month. [UPDATE] If you’ve donated and you don’t see the total update immediately, worry not. Bob currently has to update the donation amounts by hand, so there may be a delay before your generosity is reflected on the official page.